The Horizon Interactive Awards recently recognized LKCS with four awards for distinction in web design. Over the past 15 years, Horizon Interactive Awards has become one of the most prestigious awards in the field of interactive and creative media. The competition saw over 1,200 entries from nearly all 50 States and 27 countries around world. LKCS (http://www.lk-cs.com), a leading financial marketing agency strives to provide the best online experience possible for its customer’s online visitors. LKCS designs have a clean look, improve brand identity, provide intuitive navigation, ensure mobile compatibility, and implement a range of interactive tools. Horizon Interactive Awards recognized LKCS’s web site design excellence for InTouch Credit Union (Plano, TX; https://www.itcu.org/), Woodstone Credit Union (Federal Way, WA; https://www.woodstonecu.org/), First National Bank of Mattoon (Mattoon, IL; https://www.fnbbankingcenters.com/), and Congressional Federal Credit Union (Washington DC; https://www.congressionalfcu.org/). These financial institutions and LKCS worked together to create bold new websites that included several custom applications and provided visitors with superior user interfaces. Receiving these awards from Horizon Interactive Awards creates excitement for the future of LKCS. The competition was evaluated by an international, volunteer panel of industry professionals with diverse backgrounds within the interactive media and advertising industries. This process helps make the Horizon Interactive Awards one of the most comprehensive and well-rounded processes of any interactive media competition. Each panel member focuses on the best blend between creativity and functionality for each category. 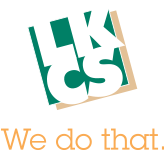 LKCS provides customers with the ability to modify all website content, text, images, add or delete pages, automatically track content changes, and improve search engine optimization with ease and without any previous programming knowledge. These capabilities are implemented through the Sitefinity Content Management System and LKCS’ financial web site tool suite. LKCS is proud to be recognized as an award winning Sitefinity Partner.